In South Asian countries such as India, pumpkin is cooked with butter, sugar, and spices in a dish called kadu ka halwa. Pumpkin is used to make sambar in Udupi cuisine. In Guangxi province, China, the leaves of the pumpkin plant are consumed as a cooked vegetable or in soups. In Myanmar, pumpkins are used in both cooking and desserts (candied). The seeds are a popular sunflower seed substitute.In Thailand, small pumpkins are steamed with custard inside and served as a dessert. In Vietnam, pumpkins are commonly cooked in soups with pork or shrimp. You can find many recipes on this blog. 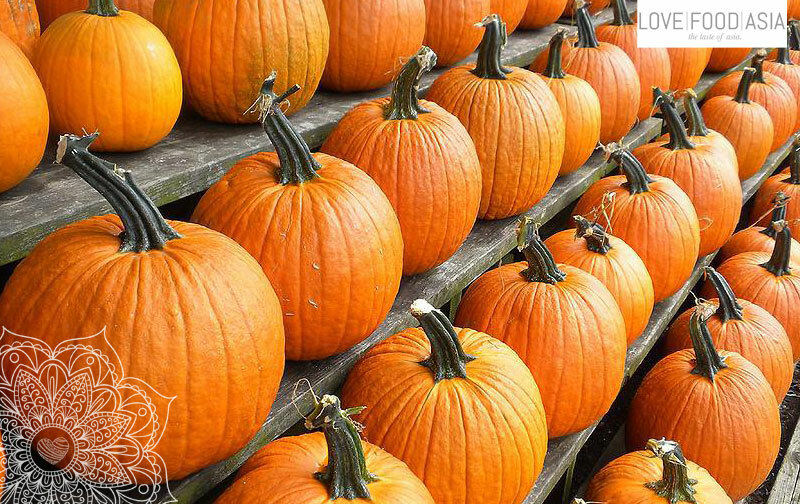 Check out our pumpkin recipes!